6 MONTH/6000 MILE LIMITED POWERTRAIN WARRANTY! One owner! Clean Carfax! Cargo barrier! Racks and bins! Back up camera! Well kept company lease return! Pre-Inspected by an independent shop! Serviced and ready to go! If you're a business owner and frequently find yourself needing to move large amounts of equipment or product, it's hard to beat the versatility and capability of a full-size cargo van. A new standard system called Side Wind Stabilization helps keep the Transit tracking straight if it is hit by wind gusts.The steering responds easily and gives feedback more like a family car than a full-size truck. 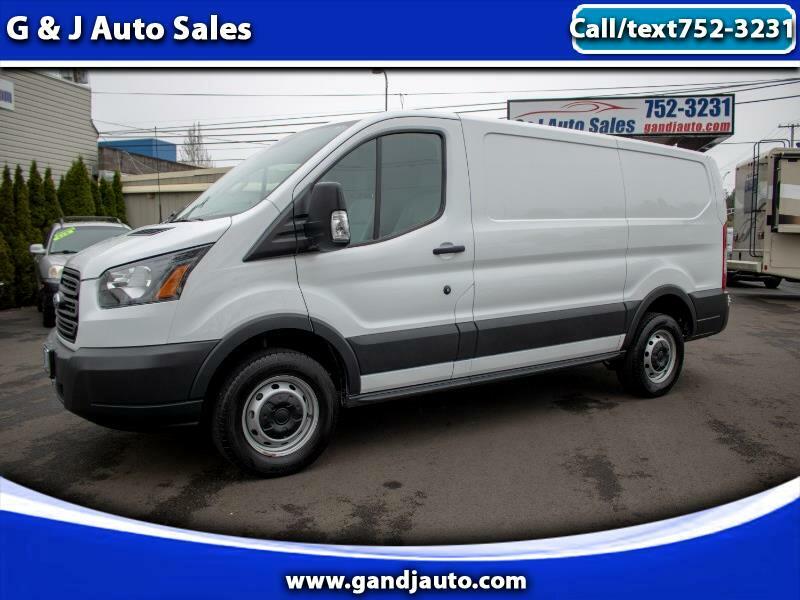 Visit G & J Auto Sales online at www.gandjauto.com to see more pictures of this vehicle, or call us at 541-752-3231 today to schedule your test drive.